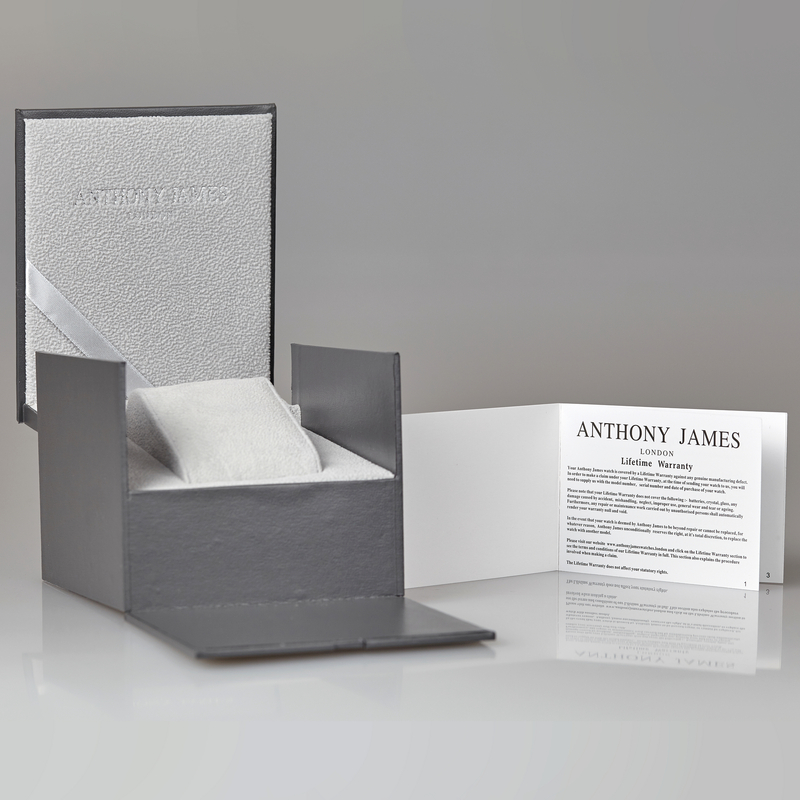 Your Anthony James of London watch is covered against genuine defects or faults for a period of 5 years from the date of purchase. All Warranties must have been registered within 28 days of purchase. To make a claim, the watch must be sent to us suitably packaged, without the box, together with the relevant form completed and a cheque for £19.50 made out to Globenfeld Ltd to cover administration, packaging and postage. Please note that your warranty does not cover damage caused by neglect or improper use, normal wear and tear or ageing. Globenfeld Ltd reserves the right, at it’s absolute discretion, to decide if damage to the watch has been caused by one of the aforementioned reasons. Furthermore, should Globenfeld Ltd decide that any attempted repair has been carried out by unauthorised persons, the Warranty shall automatically be rendered null and void. Due to reasons of non availability of any model for whatever reason, Globenfeld Ltd reserves the right, unconditionally, to replace the watch with another model of it’s choosing, including a model from any associated brands. Anthony James of London unconditionally reserves the right to replace the watch with another model of it’s choosing.